I have been a Realtor since 2004 when I changed careers from being a Guidance Counselor in an elementary school. I absolutely love my job! It makes me happy to help my customers find their perfect home. 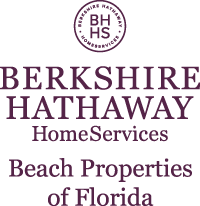 I also enjoy helping families pick out beach investments where they can collect rental income and make a lifetime of special memories in Panama City Beach. I like to think I go above and beyond in assisting buyers and marketing properties for my sellers compared to other agents. I will assist you with every step of the process. I cover the Florida Panhandle including Panama City, Panama City Beach, Lynn Haven, the 30A area, and even the Chipley, Sunny Hills and Vernon areas. I love living in the paradise that the Panama City Beach area is known for. I enjoy spending time at the beach, boating, saltwater fishing, and especially Shell Island. I enjoy hanging out with friends at all of the local hang outs as well as spending time with my family. I'm also involved in the Bay County Association of Realtors and have even served as a member of the board of directors. I always look forward to hearing from customers so contact me anytime if I can assist you with buying or selling real estate in the Florida panhandle. For all of your real estate needs call Amanda Corbin...I cover the Florida panhandle like sunshine! Handyman special! If you're looking for some privacy but prefer to be closer to town at an affordable price this one may be for you. This mobile home is tucked away on just over half an acre just off of Hwy 77 in Southport near the Bailey Bridge. It is within 30 minutes of the beach and just minutes from Panama City. A section of the home in the master bedroom was hit by the hurricane and needs repairs and a new roof. The skirting needs to be replaced and the screened in porch needs a new screen. The remainder of the home appears to be livable. This could be the deal you've been searching for.